Evidence shows that reading regularly to a child from birth gives them a head start once they start school. That’s why we’re passionate about our early childhood reading programs. Storytime at the Library is lots of fun. We read and tell stories, sing songs, play games and do craft. They are held during the school term and cater for preschool children and their carers. 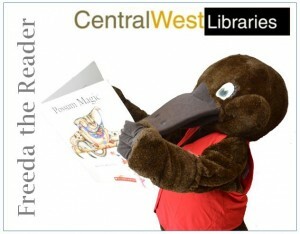 Storytime is free and each session lasts approximately one hour. For further information contact your local library. First Thursday of each month at 11am – 12noon. First Thursday of the month at 11am. Every Tuesday, Wednesday and Thursday at 11am during school term. As Storytime at Orange City Library can be a little crowded bookings are essential. Library staff can assist if necessary (p 63938132). Download our Brochure for further details. Orange City Library also offers a number of other family literacy programs for young children, including Ten Minutes a Day and 1, 2, Books.